This article first appeared in The Edge Financial Daily, on June 7, 2017. KUALA LUMPUR: Datuk Seri Mahmud Abu Bekir Taib, Sarawak state governor Tun Abdul Taib Mahmud’s son, sold Cahya Mata Sarawak Bhd (CMS) shares to pay off his debts. Mahmud, a longtime CMS director, has almost halved his personal stake in the conglomerate since December last year. Eyebrows were raised when CMS announced on May 26 that Mahmud had ceased to be a substantial shareholder. Between Dec 30, 2016 and June 5, 2017, the governor’s son had sold 38.88 million shares for a total of RM161.48 million in proceeds, based on regulatory filings. Prior to the string of sales, Mahmud directly held 88.2 million shares or an 8.51% stake. As at June 5, his stake had been reduced to 49.31 million shares or 4.59%. “The simple fact is, I have to pay off some loans with very high interest [rates]. I will continue to serve the CMS Bhd board, since my sisters and brother want me to continue representing their interests on the board,” Mahmud told The Edge Financial Daily when asked about the sale of his stake. Mahmud was first appointed group executive director of CMS in January 1995, six years after it was listed on the Kuala Lumpur Stock Exchange. He had not sold any shares for almost 22 years until Dec 30, last year when he began selling his shares on the open market, according to Bloomberg data. A new substantial shareholder of CMS has yet to emerge despite the sale of Mahmud’s stake, except for Lembaga Tabung Haji (LTH) whose shareholding dipped slightly below the 5% threshold in November last year, before resurfacing on May 30. He is also chairman of Sarawak Cable Bhd (SCB), in which he retains over 26% in both direct and indirect interests. He has not pared his stake in SCB so far. Mahmud and his family members are CMS’ major shareholders. 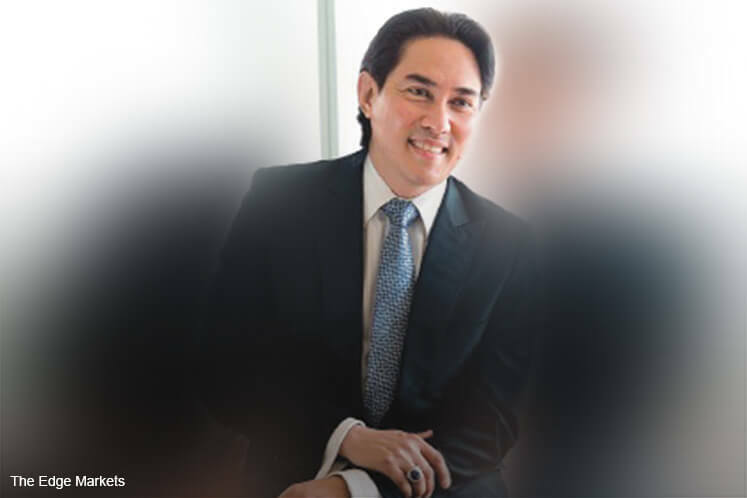 He is the only sibling on the board apart from his brother-in-law Datuk Syed Ahmad Alwee Alsree. His sisters, Jamilah Hamidah Taib and Datuk Hajjah Hanifah Hajar Taib-Alsree, collectively control a 12.54% stake through Majaharta Sdn Bhd, while the estate of their late mother Datuk Patinggi Dr Hajjah Laila Taib controls a 10.33% share. Taib’s other son, Datuk Sri Sulaiman Abdul Rahman Taib, has an 8.23% stake. However, Sulaiman and Mahmud are not deemed to have an interest in Majaharta’s stake. Other substantial CMS shareholders are the Employees Provident Fund (EPF) with a 12.27% stake and the Sarawak Economic Development Corporation with a 5.67% share. LTH has a 5.32% stake as at June 5. CMS’ share price had a good run for most of the year, gaining over 30% between end-November and early May. It hit a 13-month high of RM4.58 on May 3. However, the stock has since retreated to close at RM4.13 last Tuesday, wiping out most of the year’s gains. It had earlier tumbled in 2016, hitting a two-year low of RM3.19 in mid-May.